Located on the outskirts of Chennai, Oragadam is the largest hub for the automobile industries and other manufacturing giants. It is located 25 kms away from Kanchipuram and nestled between GST Road (NH4) and National Highway (NH4). In the last four years, the locality is witnessing immense growth through the presence of international automobile companies like Renault-Nissan, Daimler and Komatsu etc. The industrial belt has more than 22 manufacturing companies in the stretch between Oragadam and Sriperumbudur. Apart from automobiles, the area is surrounded by several manufacturing bigwigs like Nokia, Samsung, Apollo Tyres, Dell, Motorolla, Essar Steel and more. With lots of industrial projects in the Pipeline, Oragadam is turning into one of the leading industrial hubs in the world. 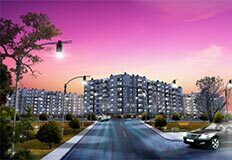 Realizing these factors, the real estate developers have constructed many residential apartments in Oragadam. The location has many advantages, which includes good transportation, infrastructure and serene environment. From Oragadam, one can easily access all the major areas of Chennai and get well-connected to Chennai-Bangalore highway. Further, the Southern Railway had planned to lay a railway-line to connect Oragadam and Sriperumbudur. These ultimate reasons have raised the demand for buying an apartment in Oragadam to its peak. In the last few years, Oragadam has witnessed a sustainable increase of capital appreciation in residential properties. The price of apartments in Oragadam is ranging from Rs.3,000 to 5,200 per sqft. 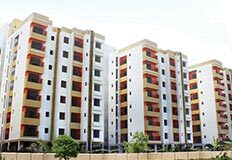 Whereas the price of an apartment in major areas of Chennai, these prices are reasonable without compromising on the connectivity. The real estate developers build most of the apartments with all the basic amenities like clubs, play area, park, swimming pool, jogging area and supermarkets etc. Oragadam has several educational institutions in its surroundings, which includes Little Flower Hr Sec School, Sri Krishna Engineering College, Apollo Polytechnic College and Dhaanish Ahamed College of Engineering etc. The places of worship in the locality are Sri Mahamehru Dhiyana Nilayam of Sri Murugaphusam Swamigal, Sri Nallinakeswarar Temple, Vallakottai Murugan Temple, Sri Ugra Narasimhar Temple (Singaperumal Koil) and more. From economy to luxury apartments, people can find any kind of apartment that matches their requirements. 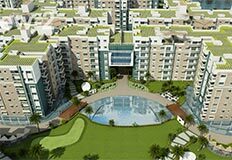 Buying an apartment in Oragadam, is the smart choice to get a good return in future. The most important thing in buying a flat or villas in Chennai is to consider the future appreciation price. Apart from it, the locality is also play the vital role in buying a property; we have to pick the right location which has good advantages of connectivity. Last but not least, the tranquility is the most demanded thing in the current market trend.